It must have been Karma. 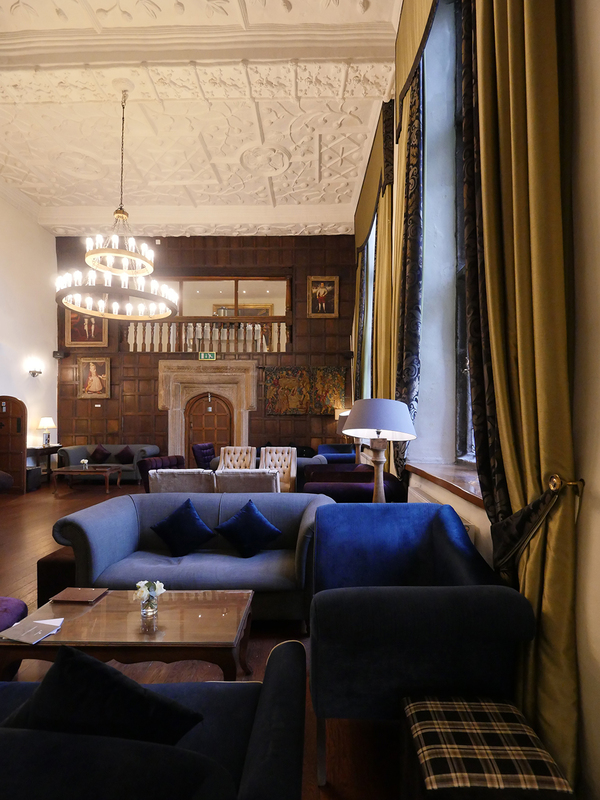 Just as I was putting the final details to my recent trip to Plymouth exploring the Mayflower heritage, an email hit my desk about Boringdon Hall Hotel. What could be better than balancing a trip to the centre of historic Plymouth with one to a historic hotel on the outskirts of the City? Especially one with a luxury spa and a fine dining restaurant. 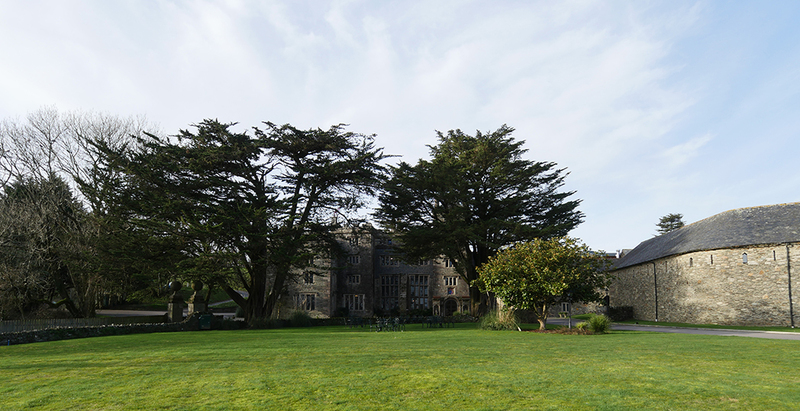 The sweeping lawns and driveway as you approach Boringdon Hall set the scene for what is a spectacular historic building. 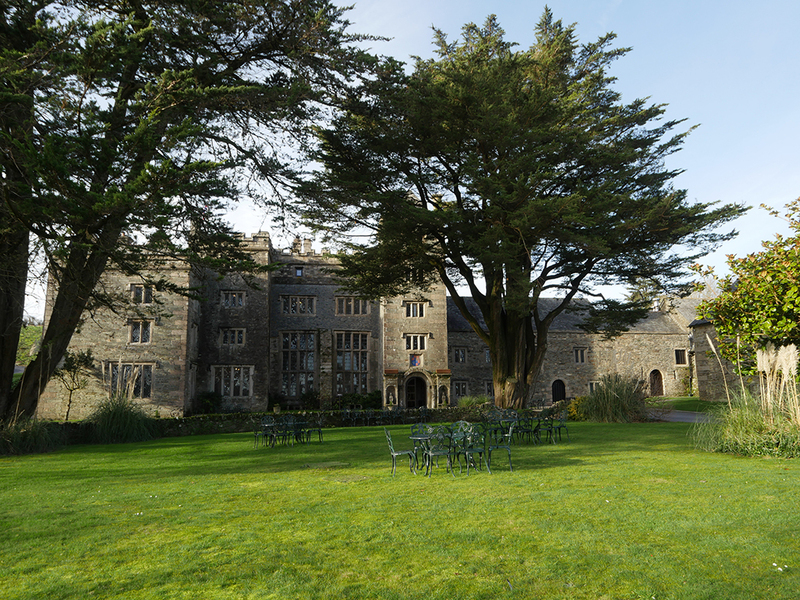 Boringdon Hall, now a 41 room hotel is set in 7 acres of land and was first mentioned in the Doomsday Book. 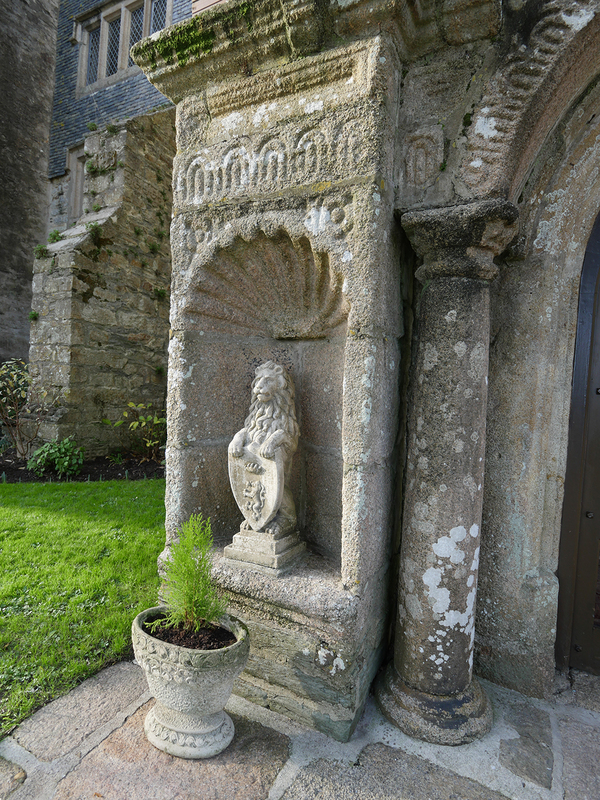 The name Boringdon comes from the Saxon ‘Burth-Y-Don’ – the enchanted place on the hill. And that is is very much the impression any visitor will get. At one time a priory, after the dissolution of the monasteries the Manor became Crown property, granted by Henry VIII to the Earl of Southampton. Remodelled by a later owner, John Parker in 1587, it became one of the foremost Manors in the West Country. 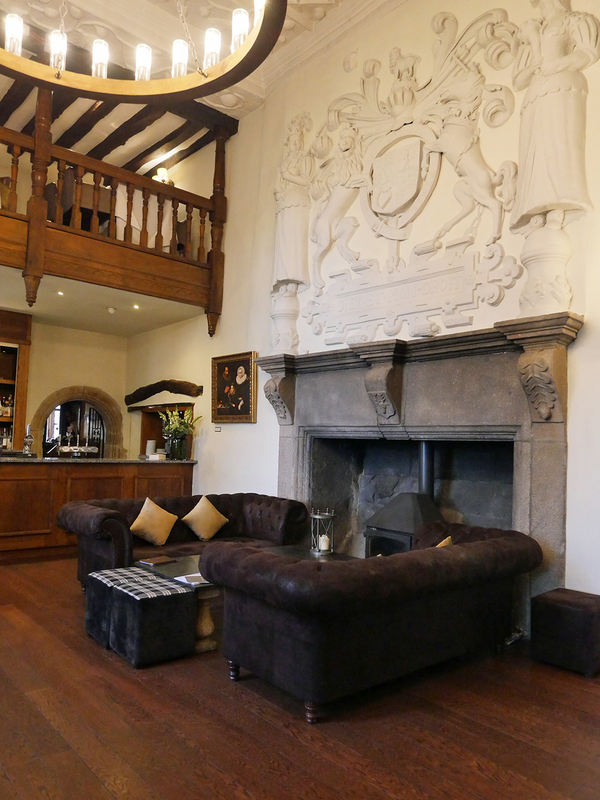 Queen Elizabeth I stayed here and the great mantle about the fireplace in the Great Hall depicts the coat of arms of King James I. 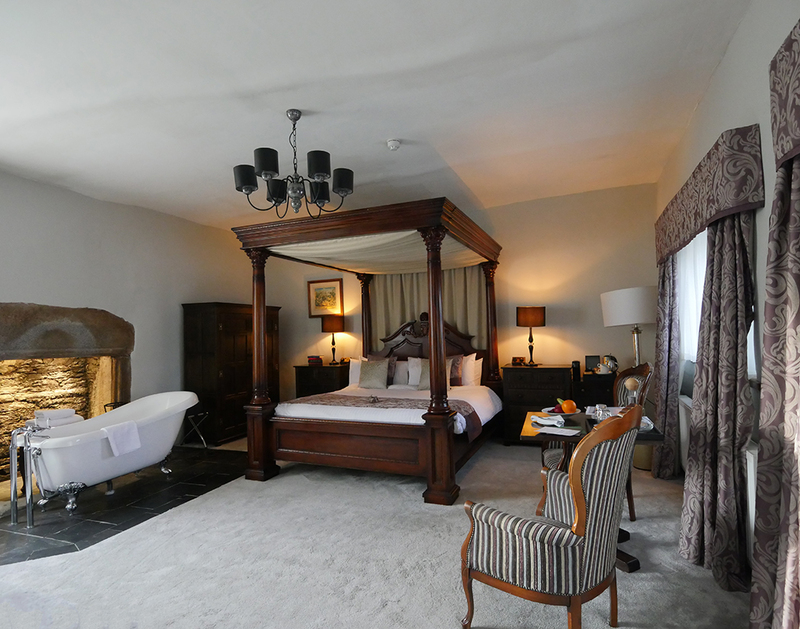 A chequered history followed including a short period under the ownership of the National Trust and then as a hotel which suffered a serious fire in March 1989. The current owners bought Boringdon Hall in 2011 and have invested time and money to develop the stunning hotel and Spa it is today. The Gaia Spa opened in 2016 and the hotel is now the leading property in the area. After a seamless check-in, I was shown to my room. Luggage already in place, there was nothing much for my courteous hostess to do other than show me the well-equipped minibar with fresh milk, the coffee machine and kettle and the shower room with fluffy towels and robes. I have to confess I’d happily have just nestled up in the luxurious four-poster bed right then. Instead, I went off to explore the Gaia spa. 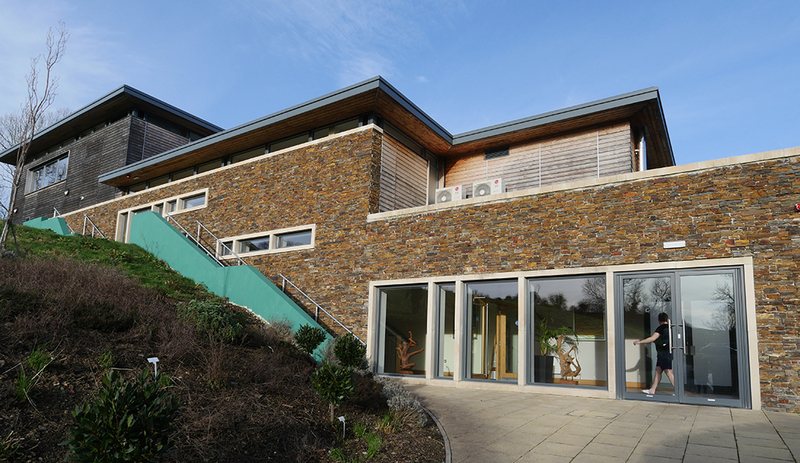 Facilities include an indoor pool, sauna, various herbal steam rooms, a sauna and a salt room. There’s a well equipped indoor hydrotherapy pool which I found rather addictive. You can lurk in there and have your shoulders massaged your cellulite caressed and your tummy tickled. You can float your way outside to a large hot-tub too, which even on a chilly January afternoon was really refreshing. I was treated to a Gaia Jade facial – an hours worth of treatment, which started with a foot massage and moved on to a comprehensive facial which included a light massage with cooling jade wands. Apart from leaving my skin baby soft and wonderfully moisturised, I was impressed that there was no short term redness – especially as my next stop, just half an hour later was the fine dining restaurant. There’s an à la carte menu at the Three AA Rosette Balcony Restaurant, but if like me, you are just staying for a night, I’d suggest opting for the very reasonably priced tasting menu (£60 for five courses). 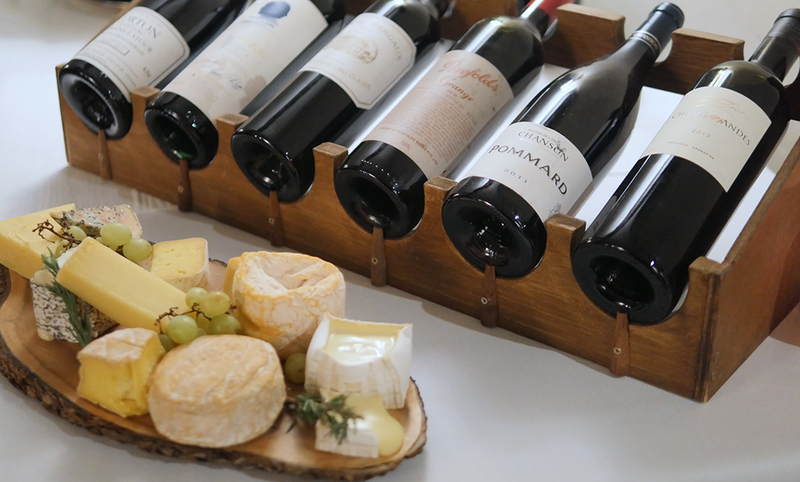 And, I’d definitely ask for the paired wines because at £35 per person at each course, you’ll be enjoying exactly the right wine to bring out the best in the food. 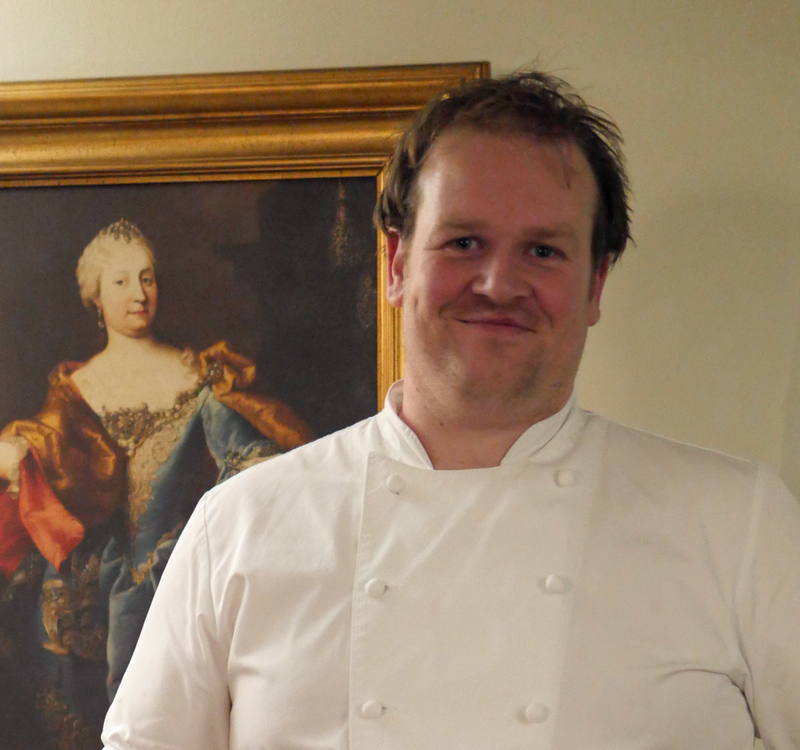 But whatever option you choose, I suspect you’ll be impressed by the delicious and picture perfect dishes produced by Head Chef Scott Paton. 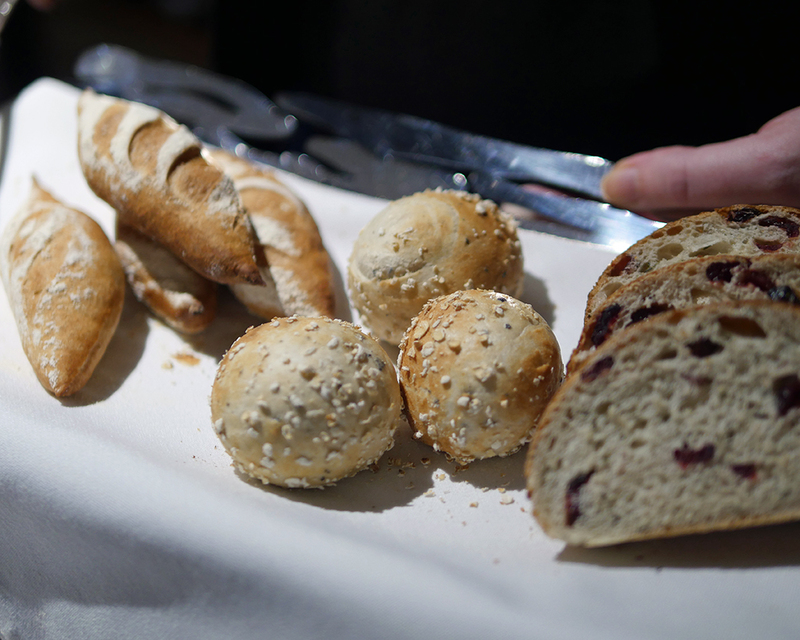 Two delicious canapés and a basket of homemade bread set the pace. 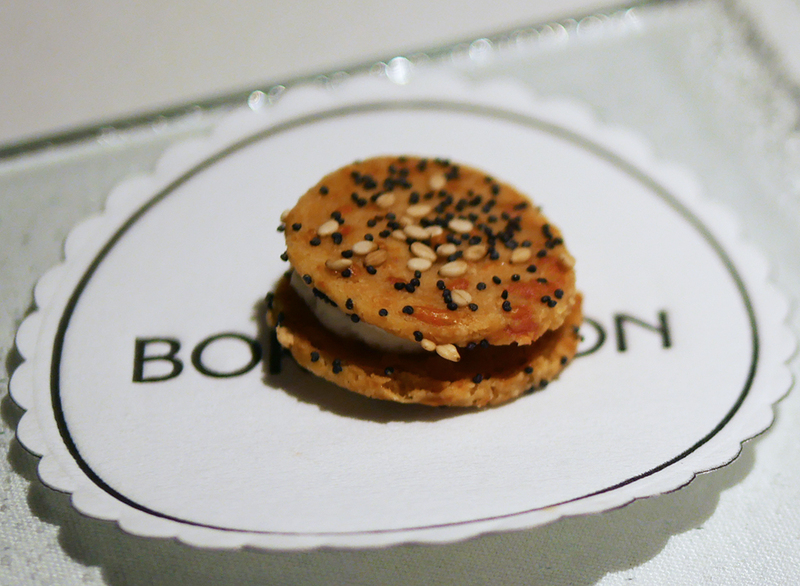 I particularly liked the naughty little three cheese sandwich – a kind of very posh cheese biscuit. But the little cracker filled with salmon ceviche was also delicious. And, my only reason for not devouring one each of the three types of bread on offer was the promise of five courses (which turned out to be six) to come. 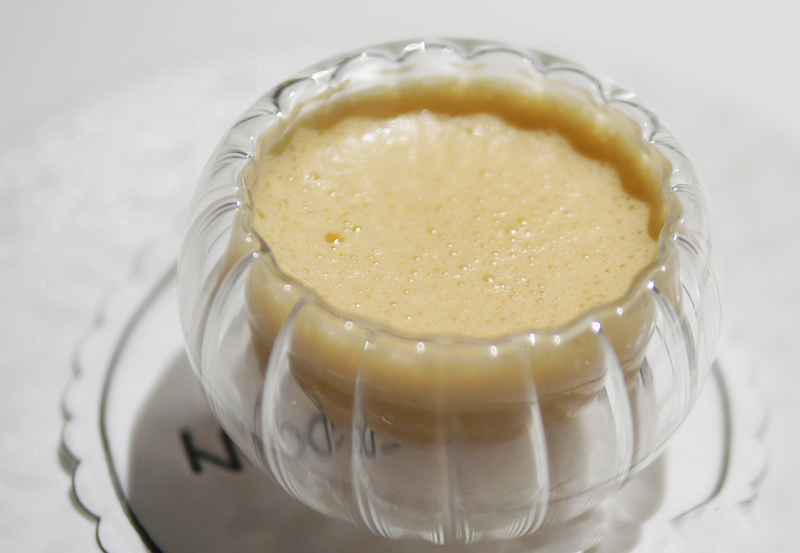 Before the first course, an amuse bouche of langoustine bisque was light yet full flavoured and a good foil for the pain de Mourvin I’d picked from the basket. 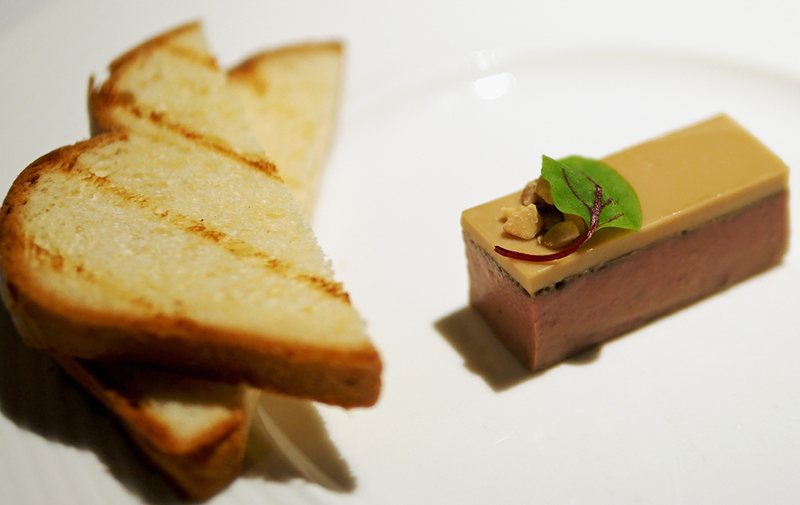 Then, birds liver parfait (goose and chicken) with a PX reduction with hazelnuts and brioche served with a glass of Terra Iconia Beaujolais from the Alliance des Vignerons Bourgogne Beaujolais, a delicious fruity red wine. It was a richer start than I’d anticipated and I was glad I’d picked what appeared to be the lighter options from the tasting menu. Unlike many restaurants, Boringdon offers a choice of starter and main course even within the tasting menu, and I chose the pescatarian options throughout the remainder of the menu. Had I been looking for something more substantial, the next course would have been a terrine of duck confit with fig, chicory and Sauternes. 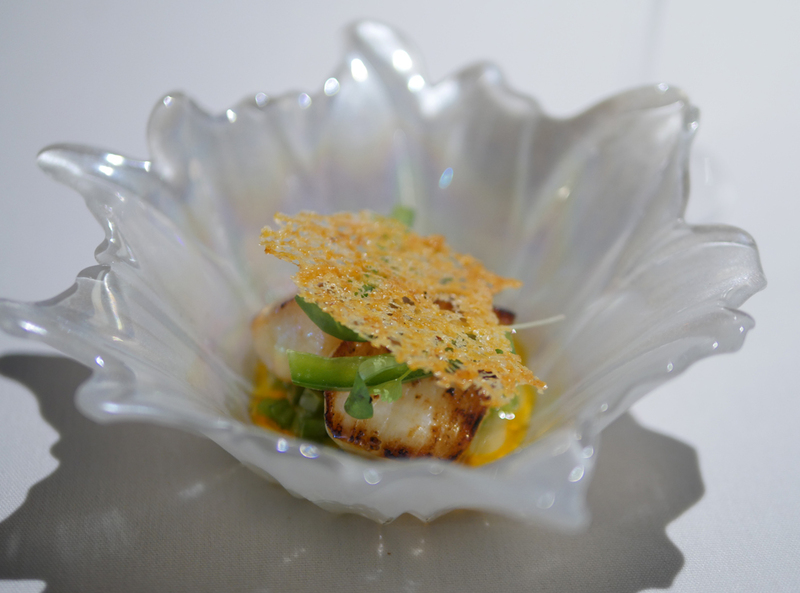 But, instead, I picked the Scallop ‘taco’, three scallops with green peppers, citrus and coriander in a parmesan crisp. 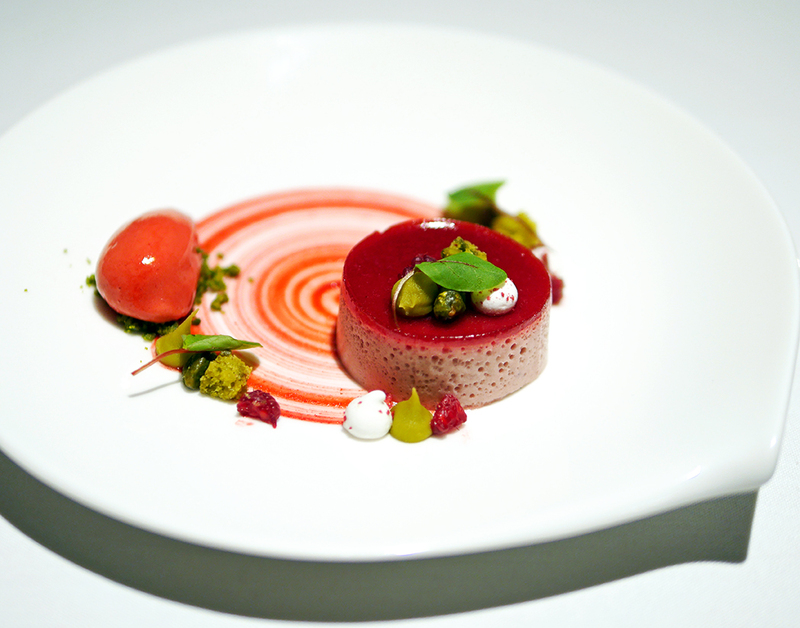 Truly delicious and rather beautiful on the plate. This was perfectly paired with Laurent Miquel Albarino, a French take on a Spanish traditional grape. Other than really enjoying the mouthful, I also came away wanting to try this one at home – it seems such a great idea. 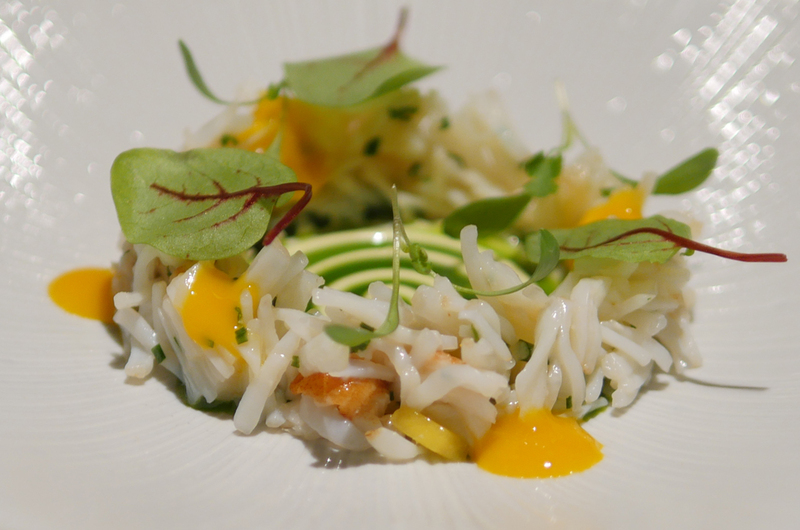 Next for me, local and famous Brixham crab with a curried emulsion, mango, cardamom and lime. 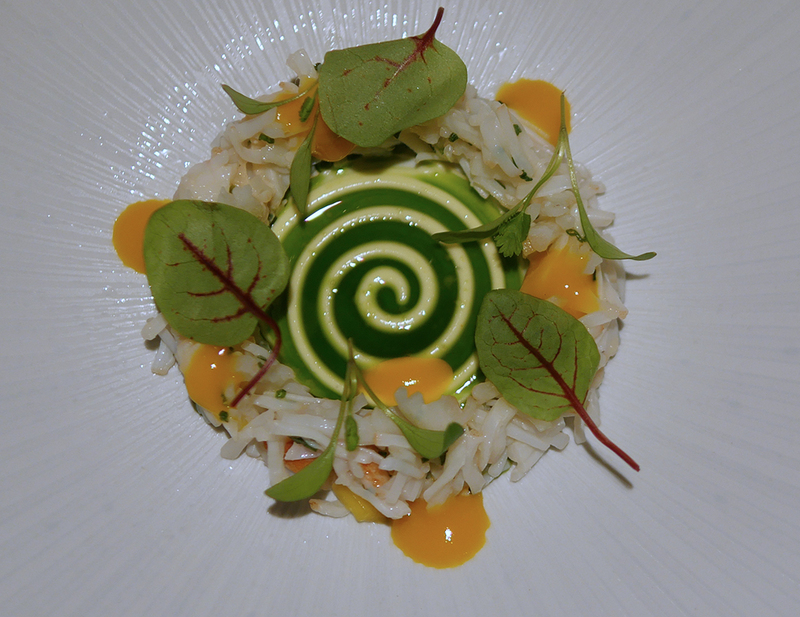 Immaculate presentation and deliciously firm meaty crab was complemented by the piquant emulsion. Pairing with a floral Trimbach Gewürtztraminer, I was unsure on the first tasting of the wine (before the food) because the floral wine with notes of lychée, rose and ginger seemed almost too complex. But once paired, it worked perfectly. I was sorely tempted by the option of aged beef with tarragon emulsion and oxtail. 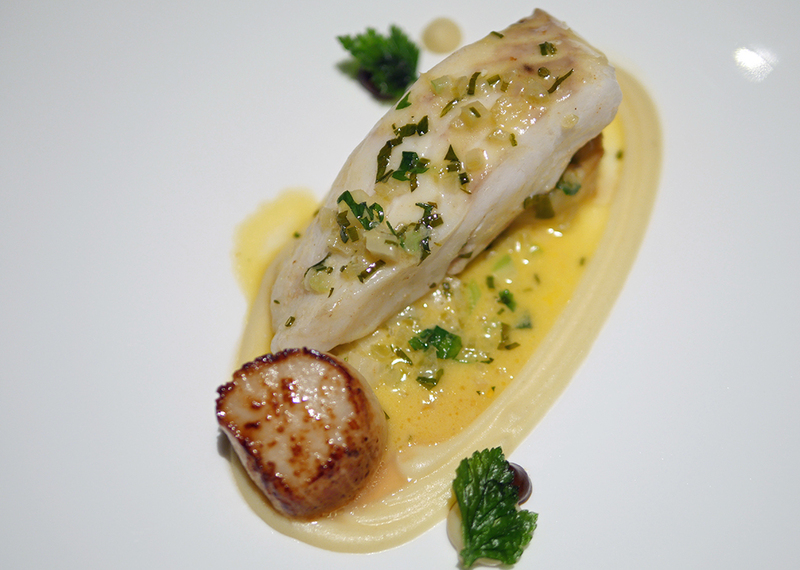 But I was also curious about the rather more refined sounding option, braised turbot with celery root, truffle and champagne sauce. In the end that was my choice and I was not in the least disappointed. It came with a glass of Ermita de San Felices Rioja Blanca from Spain which was light and fresh and a perfect complement for the fish. 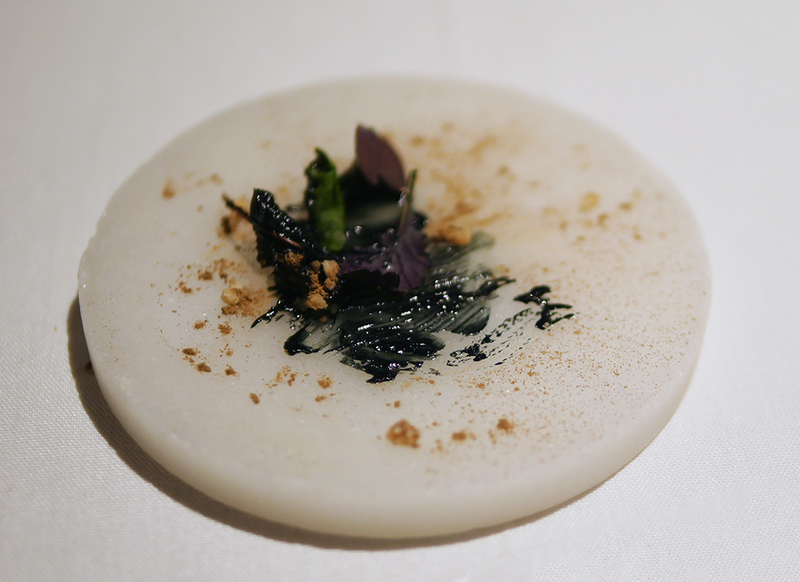 I was truly impressed with the presentation, a tiny confit of celery root that looked like a scallop, fennel, leek and nori to create a perfect mouthful of food. There was a lovely salty smokiness in the purée that paired perfectly with the light, fresh wine. 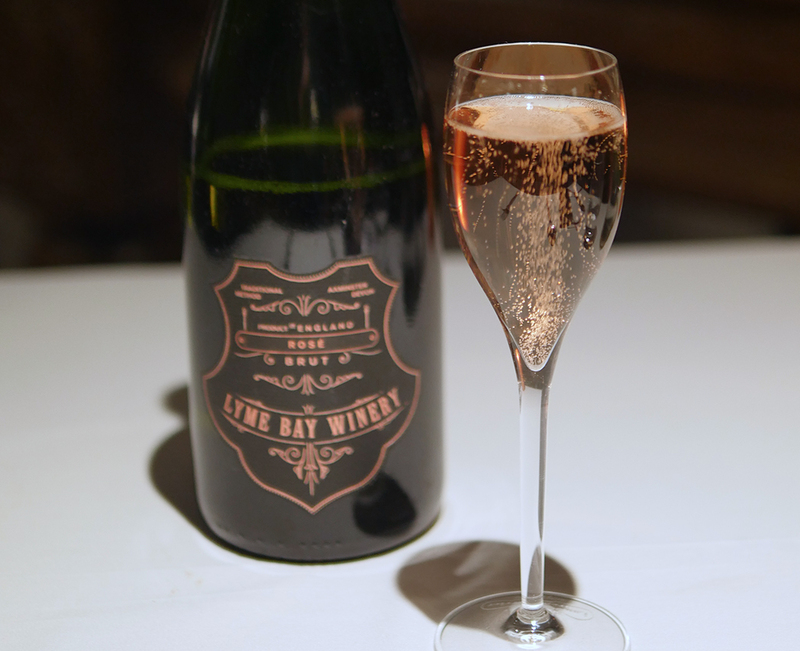 Dessert was a Raspberry mousse with pistachio cream and raspberry sorbet – classic pairings served with a local sparkling rosé from Lyme Bay. Homemade petit fours and coffee finished off an evening of fine dining at Boringdon Hall in style for me. I skipped the delicious looking cheese board and I wandered back upstairs to my room to fill the slipper bath with bubbles and relax before tumbling into the fourposter. Deliciously comfortable and perfectly quiet, I defy anyone not to sleep well. 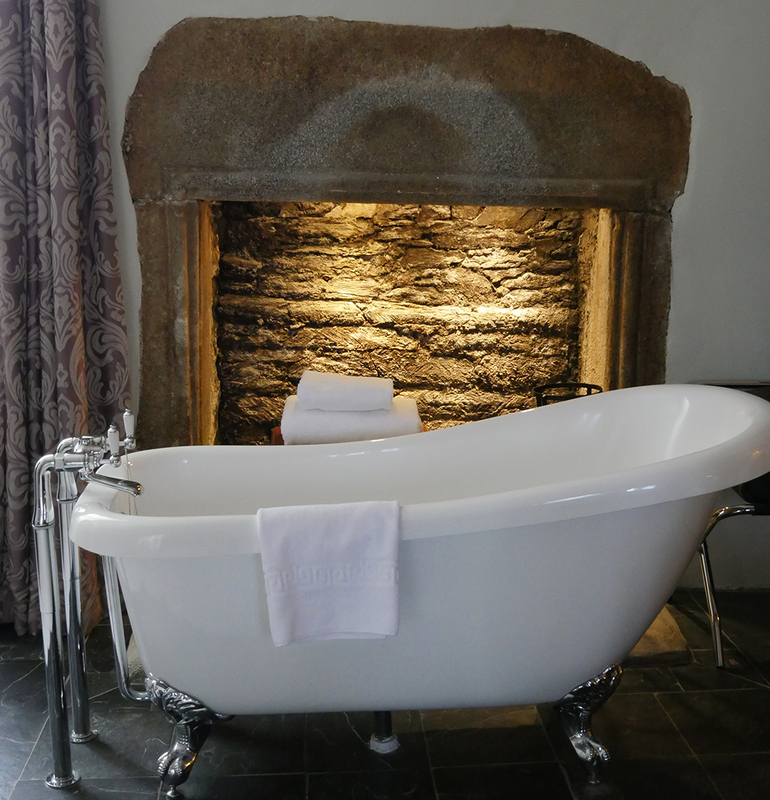 Such was my enthusiasm for the spa at Boringdon Hall Hotel that I’d set my alarm early so I could enjoy an hour or so there before breakfast. At that time in the morning, the only other people around are hotel guests and I loved watching the sunrise from the luxury of the outdoor hot-tub. 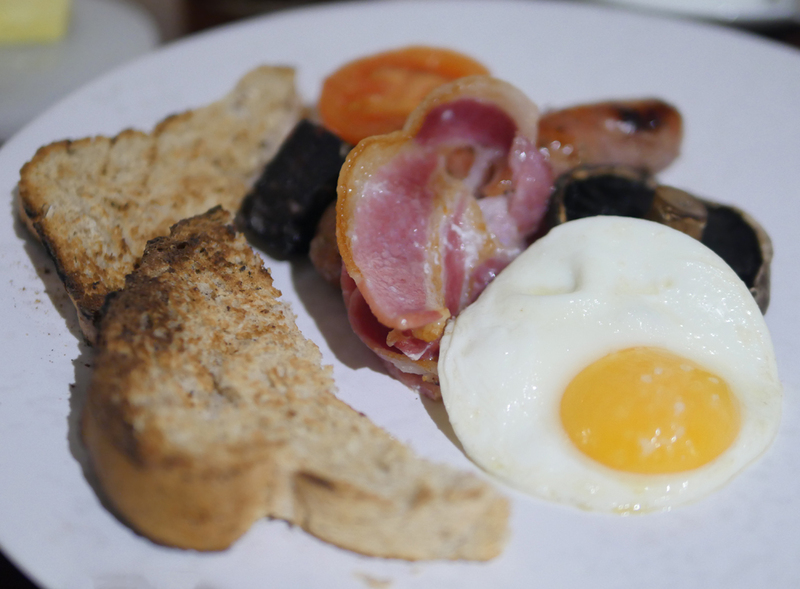 After 20 lengths of the pool, I thought I could be excused ordering a full English breakfast, all excellent quality, especially the sausage and bacon. I was sorely tempted by the various pastries, bread and local farmhouse yoghurt too. Checkout was seamless too. I’d have happily hidden in the cupboard and stayed a few more days. But London was calling…and I needed to go home. 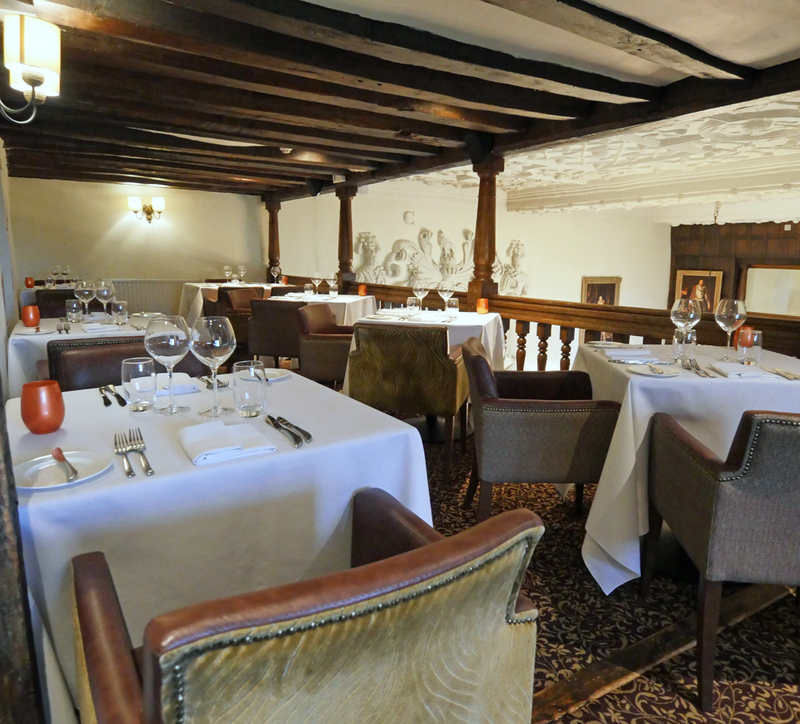 I stayed at Boringdon Hall Hotel as a guest of Mayflower400. All content is editorially given. 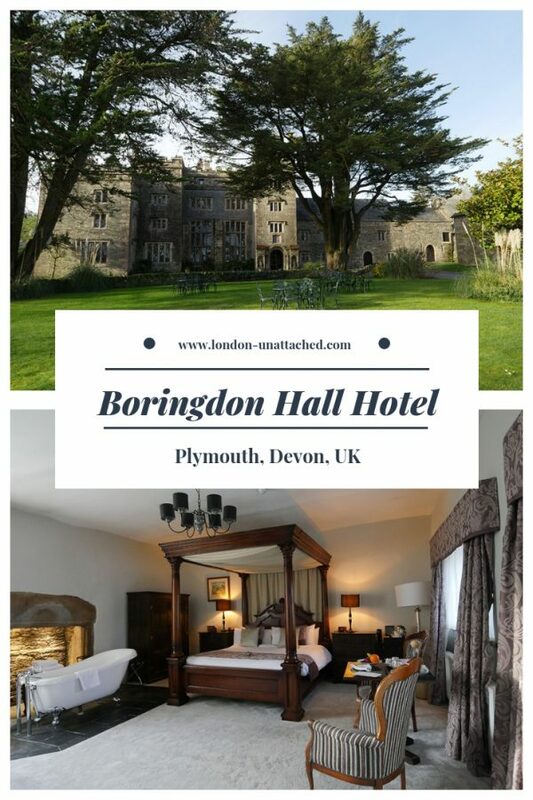 Boringdon Hall is just a short drive from the centre of Plymouth and would make an excellent base for exploring the West Country Mayflower links. Plymouth is around 4 hours drive from London or can be reached by train from London Paddington. Direct trains take just over three hours. You can even travel overnight on the Night RiveriaSleeper Train from Paddington to Penzance, leaving just before midnight and arriving in Plymouth at around 5.30 a.m.
Really a fabulous place to have the best time. And the food sounds heavenly delicious will plan the earliest visit there. It seems like a great place for a get away. It’s on my list for our next weekend trip. What a fabulous place! Gobsmacked by the spa building though. I hope it’s well hidden in the grounds. The treatments sound divine though, as does the outdoor hot tub! This property sounds like heaven! I’ve never had a massage using jade wands and the scallop taco sounds super good.